For the first time, AIEF Scholarship Students from schools across Australia gathered all together in one city for the AIEF Year 12 Graduation ceremony. The event was a great opportunity to celebrate the achievements of the graduating class, and take the first steps in supporting students on their journeys from school to careers. Over 70 Year 12 students celebrated their achievements alongside teachers and mentors from our corporate partners. AIEF-BHP Scholarship Student Lachlan Thomas from Aquinas College delivered the Acknowledgement of Country and performed his award-winning song ‘The Stockman’s Grandson’, which draws on his connections to country and bringing his cultures together. AIEF Alum Neerim Callope (St Augustine’s, 2010) was an insightful and entertaining Master of Ceremonies, while Ella from Seymour College, Adelaide and Joe from St Joseph’s Nudgee College were chosen to speak about their boarding school experiences on behalf of the Class of 2018. AIEF Alumni and Tertiary Scholars Bernard Kelly (Melbourne Grammar School, 2013) and Sarah Treacy (Loreto Normanhurst, 2012) shared their wisdom about experiences beyond Year 12, including varying pathways to university and careers, and the importance of resilience. 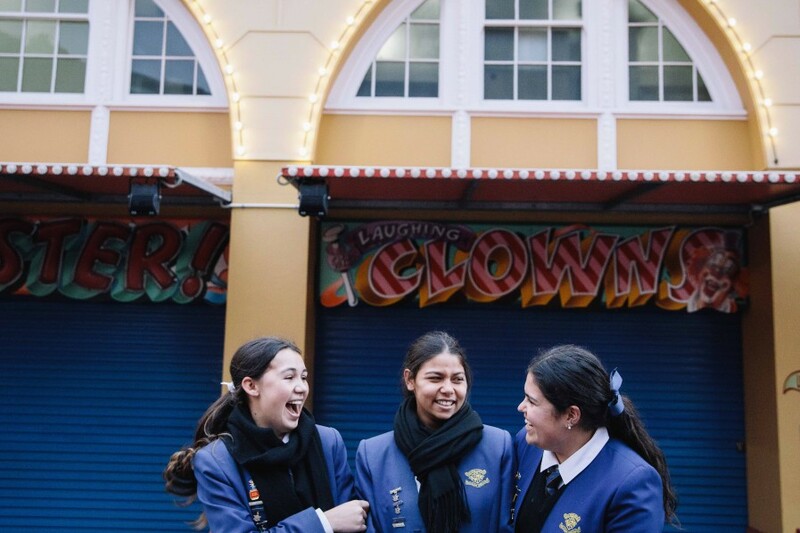 With this year’s event taking place at Luna Park, following the formal ceremony the Year 12 students were treated to a sunset ride on the ferris wheel over Sydney Harbour.